Jan CBOT soybeans ended 14 1/2c lower at USD12.81 1/2c; Dec soymeal finished USD5.50 lower at USD339.90; Dec soyoil was down just one point to 53.79. Profit-taking ahead of tomorrow's USDA report was the name of the game. Brazilian crop production estimates are starting to shrink a little with ABOIVE estimating the crop at 67.2 MMT, down from the previous estimate of 67.9 MMT and below last year's 68.7 MMT. Weekly export sales were bang in the middle of trade ideas at 870,800 MT. Dec 10 corn ended at USD5.60 1/4, up 3/4 of a cent; Mar 11 corn closed at USD5.72 1/4, down a 1/4 cent. There was not a lot doing for corn today. Both the US dollar and crude oil showed little change. Israeli buyers bought 60,000 MT of US corn in a private tender. Tomorrow's USDA report is expected to show US ending stocks for 2010/11 declining as demand from ethanol refiners remains strong. Weekly export sales were in line with expectations at 807,500 MT. Dec 10 CBOT wheat finished at USD7.48 1/4, up 6 1/4 cent; Dec 10 KCBT Wheat was at USD8.34 1/4, up 7 cents; Dec 10 MGEX wheat closed at USD8.54, up 11 1/4 cents. It was another day of the same old story. Quality wheat stocks are in decline as the Australian crop drowns and the gap between Chicago and the other two US exchanges continues to widen to multi-year highs. The market shrugged off the US losing out in Egypt's latest tender as weekly export sales came in above expectations at 726,500 MT, including private sales to Egypt. 09/12/10 -- Jan London wheat closed GBP1.10 higher at GBP188.00/tonne and new crop Nov as GBP0.25 higher/tonne at GBP157.50. Jan Paris wheat closed up EUR2.00 to EUR240.25/tonne, whilst new crop Nov climbed EUR2.25 to EUR213.25/tonne. French wheat stocks continue to tighten as importing nations scour the world for quality wheat, finding few shops left open. FranceAgriMer peg ending stocks there for the current season at 2.1MMT, down by more than a third on 2009/10, and many people think that their export estimate is understated. Despite the perception that US wheat is the cheapest on the world export stage, Egypt today bought 180,000MT of French and 60,000MT of Argentinean wheat in it's latest tender. The question now is how dear does French wheat need to be to cut demand? The weak euro, which fell below 1.19 against the pound, continues to give EU wheat a competitive advantage. The USDA is out tomorrow with it's latest WASDE report. US wheat ending stocks are expected broadly unchanged from last month, with corn stocks seen declining on robust demand from the ethanol sector. 09/12/10 -- Latest guide prices for EU rapemeal. 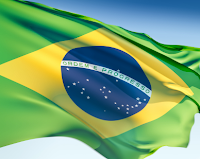 09/12/10 -- Brazilian wheat growers are wrapping up what the describe as their best wheat harvest in years. Despite lower plantings than last season, near ideal weather conditions and increased fertiliser usage has boosted yields - with a crop of 5.6 MMT expected, according to Conab. That beats last season's production by 12%, and quality is also said to be much better this season. Late rains last year meant that only half of Brazil's wheat crop made milling grade. 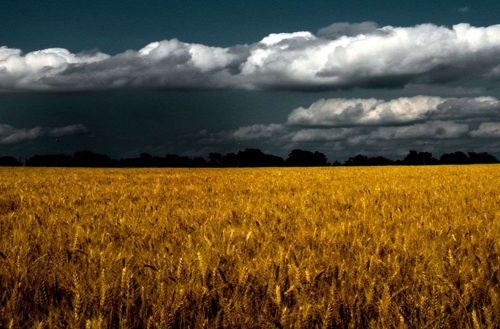 Record yields are seen in Parana state, which accounts for around half of the nation's wheat crop. 09/12/10 -- There's no sign of the "big thaw" yet in North Yorkshire this morning. There's another freeze setting in across the pond that is causing a few problems by all accounts too. More than twenty ships are at anchor around the Great Lakes waiting to load grain as high winds and icy conditions hamper navigation. Barge traffic has slowed significantly on the mid-Mississippi north of St. Louis sending freight rates sharply higher. This is restricting supplies of grains from the US interior to the Gulf of Mexico where vessels are also now starting to back up, according to reports. Elsewhere analysts continue to scratch their heads over ABARE's Australian wheat production estimates earlier in the week. 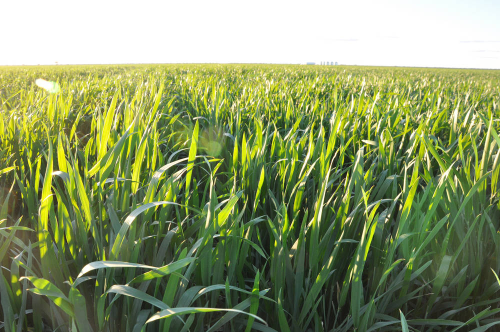 The chairman of Grain Producers Australia says that the report was out of date before it was released and that "it seriously underestimates the damage to the Australian winter crop from recent wet weather, in both quality and quantity." ABARE disagree, saying that their report took weather conditions up to Monday this week into account. Apparently Miss Tibb's sister Shelia works for ABARE, I understand. Egypt are back in the market issuing tenders for both hard and soft wheat today. 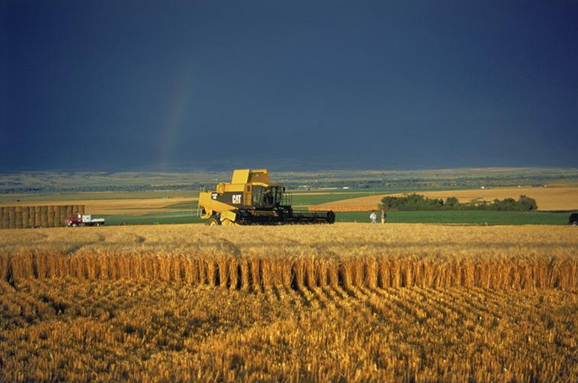 Japan has bought 51,000 MT of Canadian wheat in an overnight tender. Good end-user interest, the firm soybean market and a tight supply/demand scenario is keeping the rapeseed market firm. The EU is likely to be around 2 MMT deficient in the oilseed in 2010/11, and supplies from it's normal cheap and cheerful neighbour Ukraine are tight after their own harvest was cut be drought. Paris rapeseed posted sharp gains yesterday having risen for nine sessions in a row. Front month Feb Paris rapeseed is up almost EUR90/tonne since the beginning of October. 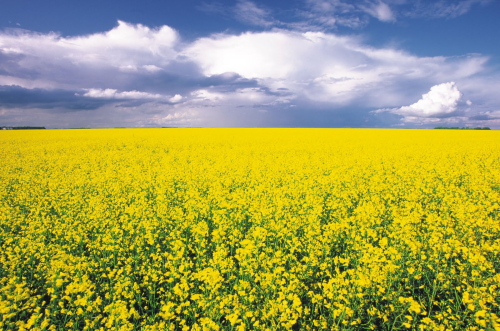 Canadian canola futures meanwhile closed higher for the seventh session in eight last night. Jan CBOT soybeans ended 10 1/2c higher at USD12.96c; Dec soymeal finished USD2.40 higher at USD345.40; Dec soyoil was 41 points higher at 53.80. Year end profit-taking was short-lived. 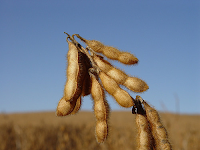 Funds were estimated to have been net buyers of roughly 5,000 soybeans on the day. Trade estimates for tomorrow's weekly soybean export sales range from 700,000 MT to 1 MMT. Dec 10 corn ended at USD5.59 1/2, up 12 1/4 cents; Mar 11 corn closed at USD5.74 1/2, up 12 3/4 cents. 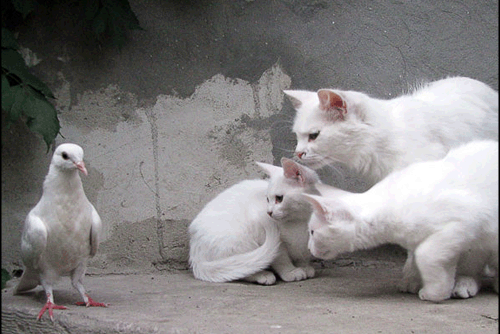 The anticipated pre-Christmas ell-off already seems to be attracting buyers. Funds were estimated to have bought approximately 8,000 contracts at the close. Tomorrow's weekly export sales report is expected to show sales of 750-950,000 MT. Dec 10 CBOT wheat finished at USD7.42, down 1 cent; Dec 10 KCBT Wheat was at USD8.27 3/4, up 5 3/4 cents; Dec 10 MGEX wheat closed at USD8.42 3/4, up 7 3/4 cents. Higher protein wheat led the way with Minneapolis and KCBT nearby December contracts reaching their widest levels yet relative to Chicago wheat. Tomorrow's USDA report is expected to see export sales of 450-650,000 MT. 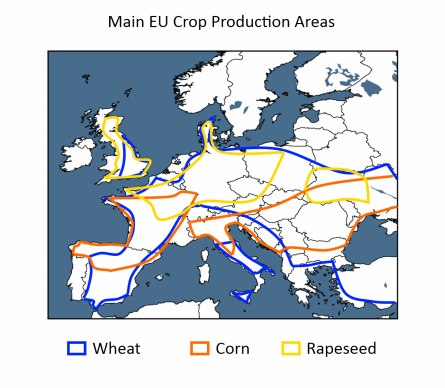 EU Wheat: Yo-Yo Oh No! 08/12/10 -- Another volatile session that saw wheat prices fluctuate both sides of unchanged finally ended with Jan London wheat up GBP0.80 to GBP186.90/tonne and new crop Nov wheat up GBP2.75 to GBP157.25/tonne. Jan Paris wheat closed EUR6.00 higher at EUR238.25/tonne and Nov wheat was up EUR1.75 to EUR211.25/tonne. We seem to have gone from a period of steady price increases to more of a yo-yo sideways pattern as we near the year end. Quality wheat remains the peg to hang your hat on, with premium high protein Kansas wheat futures extending the differential between that and Chicago to the widest since 2008. The euro was weak, with the pound advancing above 1.19, to close to it's highest since last September. That helped Paris wheat gain relative to London. It was interesting to see London wheat narrow the gap again between old crop and new crop. Ukraine extended their export quota system until the end of March, although they did add a bit of extra tonnage to the volume they will allow to go out during that period. That will include 1 MMT of corn and 0.5 MMT of wheat. There is talk now of rain damage in Australia being so bad that some acres will be abandoned and not even see a combine. 08/12/10 -- As predicted a few months ago, the proactive French have wasted no time at all in their stint in the G20 presidency hot seat in announcing plans to clamp down on commodity speculation. Exactly how far reaching these reforms might be remains to be seen. The proposed new regulations won't come into force until 2012, but at least the news may give fund managers something to think about over their Christmas lunches at Le Gavroche. 08/12/10 -- The overnight grains were lower, but off session lows, with wheat mostly down around 8-12c, corn down 4-5c and soybeans off 8-10c. The dollar is up and crude oil is down and back below USD90/barrel. Not a lot has changed but it looks like we are in for some book-squaring ahead of Friday's USDA report, and with traders eyeing their year ends. Despite the growing belief that the US may largely have the wheat export market in it's back pocket during the first half of 2011, ending stocks are seen fractionally higher than last month for some reason. Corn and soybean stocks meanwhile are seen falling, the former from increased ethanol usage. The latter on the back on continued strong demand from China, and possibly the late planting of the Argentine crop making demand for US beans last just that little bit longer. Ukraine have extended their export quota system up to the end of March. 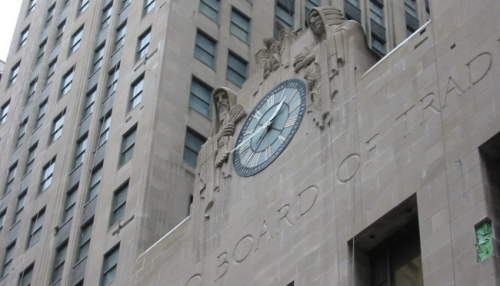 Early calls for this afternoon's CBOT session: Beans down 8 to 10 cents, corn down 4 to 5 cents, and wheat down 8 to 10 cents. 08/12/10 -- Latest guide prices for EU rapemeal. 08/12/10 -- The overnight grains are sharply lower across the board, with benchmark March wheat down 17c, beans down a similar amount and corn down 6-8c. Crude oil is also sharply lower at USD88.18/barrel, having hit a 26 month high of USD90.76/barrel yesterday. There doesn't seem to be any particular BIG news to have changed trader sentiment, so maybe this is the start of the much talked about year-end profit-taking? More than one report I have read recently mooted that a sharp sell-off could be on the cards as we approach the end of 2010, and those lovable scamps the fund managers look to get another year of hefty bonuses guaranteed and tucked away. There seems to be a chance of rain for dry eastern Argentina as we approach the weekend, but it hardly seems like a drought-buster. "E Argentina will see some very important rains during a 24-36 hour period starting late Thursday and lasting through Friday. Conditions will then dry again for the following 8-11 days," say QT Weather. "Overall, the (next) two week period will see net drying but key rains are in today’s forecast for the driest and most stressed areas of central and northeast Argentina into southern Rio Grande do Sul of Brazil this Friday and Saturday," they summarise. Furthermore there are reports now of dryness problems now for wheat in North Africa and the Middle East, according to our chums at Agrimoney. Whilst US, Chinese and Russian winter wheat also have issues. For me, wheat remains the strongest leg of the complex, with beans second and corn bringing up the rear. Beans score on continued Chinese demand, potential problems in Brazil (production forecasts now starting to be downgraded) and even more so in Argentina and tightening US stocks. Corn is worried about increasing volumes of Australian feed wheat coming onto the market and the unresolved issue of the soon to expire blenders credit. There has so far been little evidence to back up the theory that China will be a large scale importer of corn in 2011. Meanwhile the government there only sold 10% of the 1.8 MMT on offer at public auction this week. If we are about to see a pre-Christmas sell-off then it could present a decent buying opportunity, as fund money will quite likely be looking for somewhere to hang it's hat early in the New Year. Agri commodities probably will fit the bill quite nicely. Jan soybeans ended 3c lower at USD12.85 1/2c; Dec soymeal finished USD2.50 lower at USD343.00; Dec soyoil was 26 points higher at 53.39. A firmer dollar on ideas that more QE would be needed in 2011 to keep the US recovery afloat depressed prices heading into the year end. Crude oil hit it's best levels for more than two years, but also turned lower later in the day. Funds were estimated to have been net sellers of 3,000 soybean contracts on the day. South American crop production estimates are starting to filter through lower for soybeans on the back of adverse weather conditions. Jan corn fell 6 1/2c, to USD5.47 1/4c; March corn declined 6 1/4c, to USD5.61 3/4c. 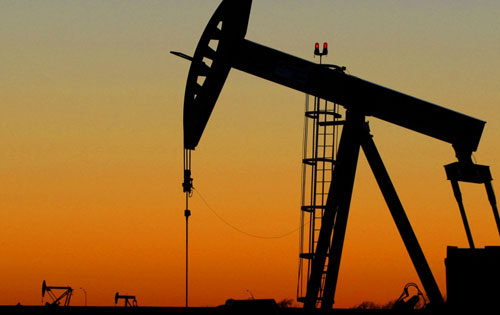 Crude oil fell back below USD90/barrel and the dollar strengthened as the day wore on. In addition uncertainty over the renewal of the ethanol blenders tax credit is keeping the market cautious. Funds were estimated to have sold around 8,000 contracts today. Thoughts now are that at least half of eastern Australia's wheat crop will only make feed grade. That could be 10-12 MMT extra feed wheat on the market for SE Asia in 2011, which is detrimental to demand for US corn. CBOT Dec wheat ended down 9c to USD7.43 a bushel; KCBT Dec wheat fell 4 1/4c to USD8.21 1/4; MGEX Dec wheat rose one cent to USD8.35. The gap between quality high protein wheat on KCBT and CBOT continues to widen. News emanating from Australia suggests that the world supply of quality wheat is continuing to tighten. ABARE today raised their overall all wheat production estimate to a record 26.8 MMT, but cut their export forecast by almost 2.5 MMT to 16 MMT. There is also talk of 2-3 MMT of wheat simply being abandoned as not even fit for harvesting. 07/12/10 -- Jan London wheat closed down GBP0.90 at GBP186.10/tonne, and Nov GBP1.50 easier at GBP154.50/tonne. Jan Paris wheat fell EUR3.00 to EUR232.25/tonne and Nov was EUR0.25 higher to EUR209.50/tonne. This was the second session in a row that EU wheat opened sharply higher only to close mostly easier by the end of the day. 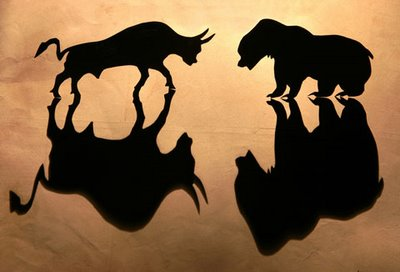 Traded volumes have been lower this week, with one or two European nations having public holidays. Profit-taking has also been a feature as we near the year end. Australia raised the size of their wheat crop today to a record 26.8 MMT, although export prospects were cut to 16 MMT by ABARE. They are clearly going to have much more feed wheat than normal in 2011, and will be eying potential exports to SE Asia. The underlying fundamentals for EU wheat remain positive, although prices here are expensive enough to start to ration demand with US wheat considerably cheaper. This was especially true today as the dollar weakened on the back of comments from US Fed chairman Ben Bernanke that a third round of QE may be needed to maintain the recovery in the world’s largest economy. US wheat therefore looks very well placed to pick up the vast majority of foreign import tenders in the first half of 2011. There are enough concerns about wheat production around the world to keep the market on its toes for the time being. 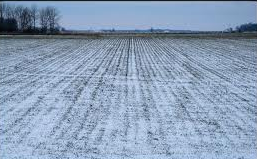 US, Chinese and Russian wheat all face an uncertain winter. 07/12/10 -- Latest guide prices for EU rapemeal. 07/12/10 -- Crude oil has broken through USD90/barrel to post a more than two year high this morning. A weak dollar, on the back of comments from US Fed chairman Ben Bernanke that a third round of QE may be needed to maintain the recovery in the world’s largest economy pushed crude to an intra-day high of USD90.37/barrel by mid morning. Brent crude also hit a 26 month high of USD92.36/barrel. As well as a weak dollar, cold weather in Europe and parts of the US is seen supporting prices in the near term. Crude levels are now closer to the 2008 highs of USD147/barrel than the early 2009 lows of USD33/barrel. 07/12/10 -- ABARE seem to have surprised more than a few this morning by raising their Australian wheat production estimate to a record 26.8 MMT. The old adage "rain makes grain" would once again appear to be true if they are correct. With the harvest in the east now delayed by 4-6 weeks I guess we won't really have an accurate handle on yields until it really gets going in full swing. That seems unlikely to happen just yet, with the local Bureau of Meteorology predicting heavy falls of up to 150mm later in the week. ABARE cut their 2010/11 wheat export estimate by 2.4 MMT to 16 MMT, reflecting the anticipated lack of quality high protein wheat. Even so that is still 0.5 MMT higher than the USDA's latest estimate and up to 2 MMT above some of the others kicking around. The trade is starting to wake up to ideas that it's America that is going to have to make up the global shortfall in quality wheat next year. With Russia, Ukraine and probably Kazakhstan too pretty much effectively out of the market, and EU stocks likely to be virtually exhausted by spring the US is unlikely to find too much opposition in high protein wheat tenders in the first half of 2011. The USDA's current US export projection for 2010/11 of 34 MMT could therefore be on the low side. Exactly halfway through the marketing year, they've already exported 14.5 MMT, with further outstanding sales of 8.7 MMT, according to the USDA. That's 23.2 MMT already shipped, or committed for shipment, against the 24.1 MMT exported during the whole of last season. Projected US ending stocks for 2010/11 are probably also too high, but at 23 MMT - fortunately for the rest of the world - the well is far from running dry. The flip side of all this is that Australia will be awash in low grade feed wheat in 2011. With plenty of potential homes in Asia willing to take that as an alternative to corn, corn bulls could rightly be a little nervous heading into the year-end with no firm decision on the blender's tax credit yet on the table. ABARE peg wheat production in Western Australia at 3.8 MMT, leaving 23 MMT to come from South Australia and the eastern states of NWS, Victoria and Queensland. If a third of the latter is only feed grade (and some suggest that it could be more than that) then we've got an extra 7.7 MMT of feed wheat looking for a home on the world marketplace. 07/12/10 -- ABARE surprised the market this morning by raising it's Australian wheat production estimate for this season to a record 26.8 MMT. They've tended to be on the high side of trade estimates all year, but this latest projection appears to have been met with bemusement by the rest of the trade who have been marking output (as well as obviously quality) down not up. Whilst acknowledging that wheat quality has taken a hit recently due to heavy rains in the east, they didn't specifically quantify the magnitude of potential downgrades. Today's estimate os almost 5 MMT higher than last season's output of 21.9 MMT, and comes on the back of record yields in most of the eastern grains belt, they say. 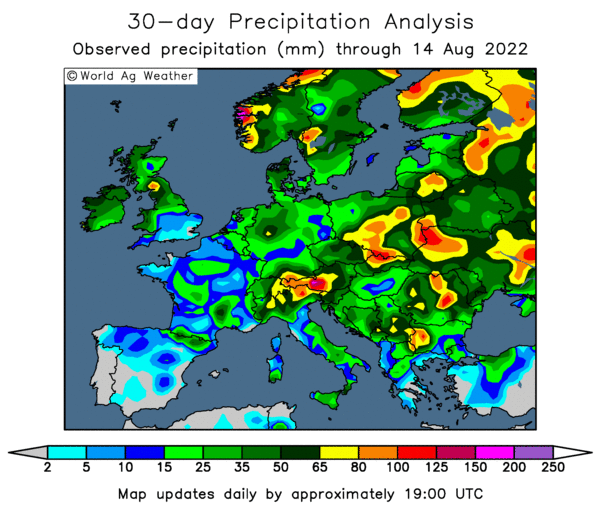 Again this is very reminiscent of the UK's wheat crop of 2008, which was still being harvested in northern regions at 26% moisture well into late October after a very wet summer and autumn. Despite trade production downgrades we subsequently brought in a record crop in excess of 17.2 MMT, although milling grade wheat was in short supply. Despite today's news the overnight Globex market sees wheat continue to march higher, with the most active March contract currently up 12c. You can read the full ABARE report here. Jan soybeans ended 11 3/4c lower at USD12.88 1/2; Jan soymeal finished USD5.10 lower at USD346.50; Jan soyoil was 9 points higher at 53.54. Profit-taking can probably best describe today's action, there wasn't a great deal of fresh news and the dollar was firmer. With month, quarter and year end approaching it was probably time to take some money off the table and bank a few Christmas bonuses. Weekly export inspections came in at only 33.495 million bushels, well below expectations. 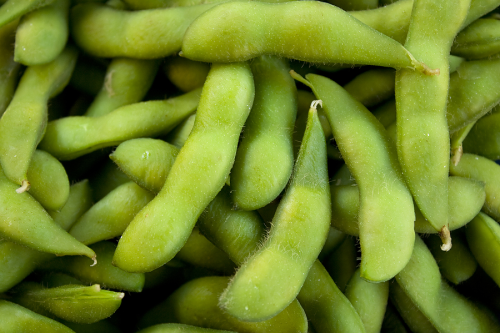 The USDA announced the sale of 116,000 MT of old crop and 55,000 MT of new crop soybeans to China. Jan corn fell 5 1/4c, to USD5.53 3/4; March corn fell 5 1/2c, to USD5.68. The dollar was firmer, prompting fund selling. Ideas that the Australian situation is bearish for corn, on the back of them having much more feed wheat than normal to market sparked further selling. Unconfirmed reports of Australian feed wheat sales to the Philippines added to corn's unease, as too are concerns that the ethanol blenders tax credit may not get renewed at the end of the year. Weekly export inspections were low at 25.2 million bushels, although the USDA did report the sale of 116,000 MT of US corn to unknown. CBOT March wheat ended up 14c at USD7.93 a bushel; KCBT March wheat rose 14 3/4c to USD8.36 3/4; MGEX March wheat climbed 15c to USD8.50 1/4. Wheat led the complex today on more worries over Australian wheat quality, with added doubts on China and Russia adding to the mix. The USDA reported the sale of 160,000MT of HRW to unknown. KCBT and MGEX hit more than two year highs and Kansas wheat extended it's premium over Chicago to the most in 2 1/2 years. Weekly export inspections were in line with expectations at 19.215 million bushels. 06/12/10 -- EU wheat closed a seesaw session mostly lower with Jan London wheat GBP0.45 easier at GBP187.00/tonne and new crop Nov down GBP0.35 at GBP156.00/tonne. Jan Paris wheat was unchanged at EUR235.25/tonne and Nov was 0.25 lower at EUR209.25/tonne. Wheat traded sharply higher early in the session, with London wheat setting another fresh 2 1/2 year high for a front month and Paris wheat also hitting contract highs. Profit-taking kicked in later in the session, dragging most months into slightly negative territory by the close of play. Even so the underlying trend is undoubtedly upwards, with weather concerns over Australia, China and the US foremost in traders' minds. Quality wheat volume keeps diminishing with excess rains already having taken their toll on Canadian and German wheat earlier in the season, the same now seems to be happening Down Under. 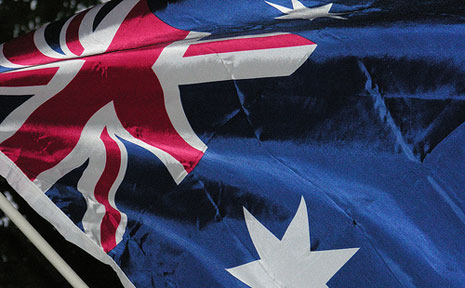 ABARE will report on Australian wheat production tomorrow. Quality EU wheat supplies are getting tighter by the day too, with some eastern European nations already hanging up the sold out signs. 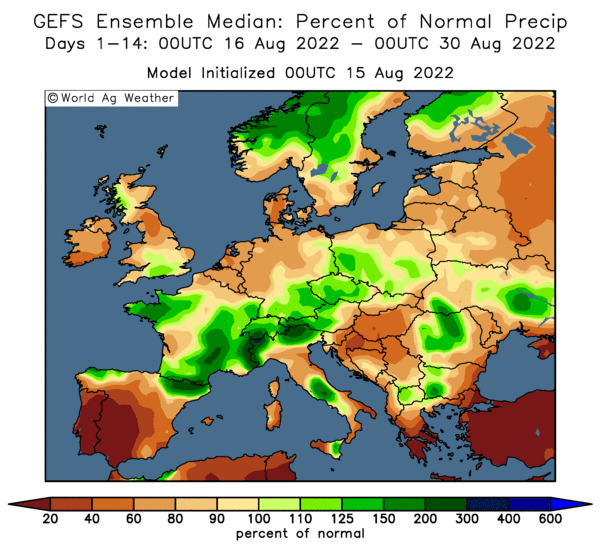 Only modest planting increases are forecast for EU soft wheat for the 2011 harvest, with the French Ministry today predicting just 2% more went into the ground this autumn. 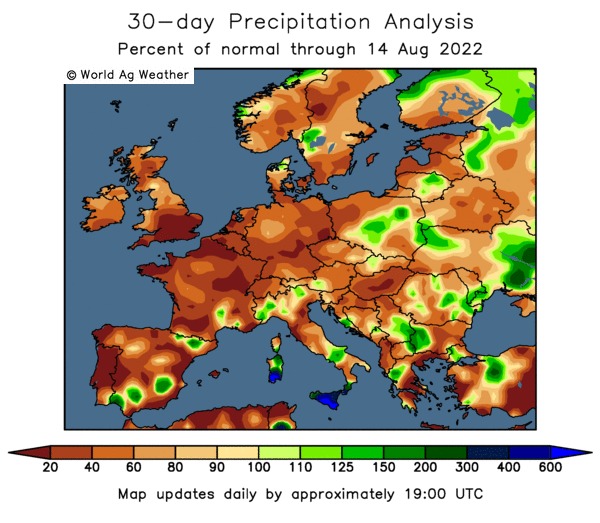 Agreste peg the area for next season at 5 million hectares, winter barley plantings meanwhile are seen falling for the second year in a row to 1.1 million hectares. 06/12/10 -- Latest guide prices for EU rapemeal. 06/12/10 -- The overnight grains were mixed, with wheat mostly 8-10c higher, but with corn down 4-5c and beans mixed either side. Wheat is up again on continued concerns over quality in Australia following another wet weekend and more to come in the week ahead. The differential between KCBT - the benchmark for quality wheat in the US - and CBOT wheat is currently at it's widest for 2 1/2 years. If you want quality the US is rapidly becoming the only shop in town with any stock left to sell. To underline that, the USDA have today reported the sale of 160,000 of US HRW wheat to "unknown". They're also today reporting the sale of 171,000 MT of old crop and 55,000 MT of new crop soybeans to China, plus 20,000 MT of soyoil to "unknown", along with 116,000 MT of old crop corn also to "unknown". It remains too dry in eastern Argentina, with only scattered light showers in the forecast for the week ahead. Around 20% of China's wheat crop is also now said to be under drought stress, and the US crop on the Plains is far from perfect either. Corn is under a bit of pressure from ideas that the US blenders tax credit will not be renewed at the end of the month, as the Republicans flex their new-found muscles. The potential influx of up to 10 MMT of extra feed wheat onto the market from Australia is also a bearish factor. From here on in we can also expect to see profit-taking through to the end of the year as traders look to bank a few bonuses. Currently I'd say that things are still looking fairly favourable for further wheat price appreciation, moderately so for soybeans, but less so for corn (the ginger-haired step-child of the trio). 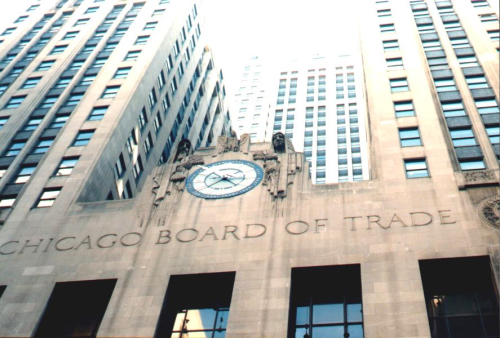 Early calls for this afternoon's CBOT session: Wheat up 8-10c, beans down 1-3c and corn 3-5c easier. 06/12/10 -- Wheat leads the way higher again on the overnight Globex market. As most of us probably already know, England are doing very well in the 2nd test against Australia in Adelaide, with rain looking like the main obstacle to victory. The culprit is a deep trough moving across South Australia which is forecast to move slowly eastwards into NSW and Victoria as the week wears on. Here it's already been one of the wettest Decembers on record, even though we are less than a week into the month. Various analysts estimates currently say that anywhere between 6-10 MMT of the eastern Australian wheat crop will have to be downgraded. Quality wheat availability is clearly going to be very tight in the first half of 2011, with the US likely to be the only volume seller. Although in the UK the feed wheat supply chain also looks equally tight until next summer, there are question marks over demand too at current levels. Demand from the livestock sector is sluggish at best, wheat prices are high relative to other raw materials and imports of cheaper feed wheat from the continent are becoming viable at these levels. In addition we have the spectre of the will they, won't they issue with regards to the renewal of the blenders tax credit in the US, which is due to expire at the end of this month. That could hit demand from the ethanol sector, which you will recall takes around a third of the entire US corn crop. Too much rain isn't the problem in Argentina, it's lack of it after another largely dry weekend. The latest forecast shows "no significant rain expected over E Argentina for the week ahead, despite some threat later in the week," according to QT Weather. "Last week, rainfall anomalies grew across E Argentina, being in deficit by 15-35 mm," they add. Neighbouring Uruguay is also being badly affected by drought. 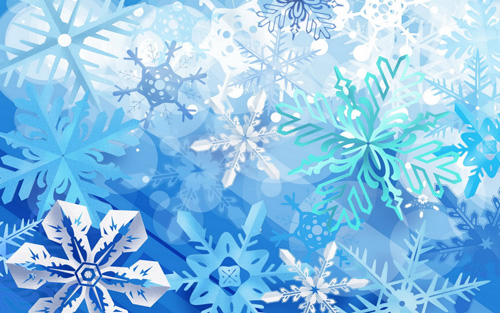 Talking of drought, it wouldn't be Christmas without one in China too now would it? November temperatures 1-4C higher than normal, combined with a sharp reduction in rainfall in the North China Plain is stressing winter wheat in the region. Still, what Santa can't fix silver iodide can. They won't have to bother putting a silver sixpence into next year's Christmas pudding, it'll be full of the stuff naturally. Yes, I know that they probably don't eat Christmas Pud on the North China Plain, I'm using my artistic blogging licence. They can't read this stuff anyway, I'm banned over there, remember? Just in case you missed it, Stats Canada unexpectedly raised their rapeseed production estimate for the 2010/11 crop by a hefty 1.4 MMT on Friday. Alberta's canola crop hit a record 4.5 MMT, they said. That took production in the three prairie provinces of Alberta, Manitoba and Saskatchewan to 11.7 MMT. 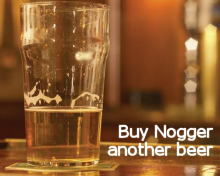 You'll be unsurprised to discover that there was more trouble at the Nogger household over the weekend when the police called round. No, it was nothing to do with Taff the angry Welshman and his wretched car for once. Nor indeed his blingy Christmas lights that were liberally strewn around his house frontage on Saturday like a Jackson Pollack on drugs. Now they are criminal. Two planes bound for Leeds/Bradford tried to land in our street last night. No, the local rozzers knocked on the door sporting a photograph of MrsN#1 would you believe? They said "excuse me Sir, is this your ex-wife?" I said "yes officers, it is." "I'm sorry Sir, I'm afraid it looks like she's been knocked down by a bus," they said. "Yes she does doesn't she," I replied, and off they went. Honest.